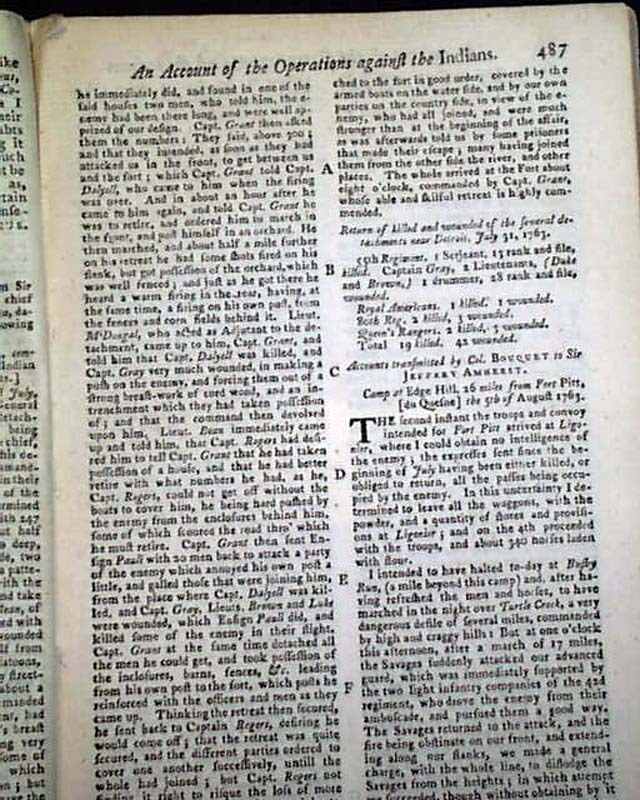 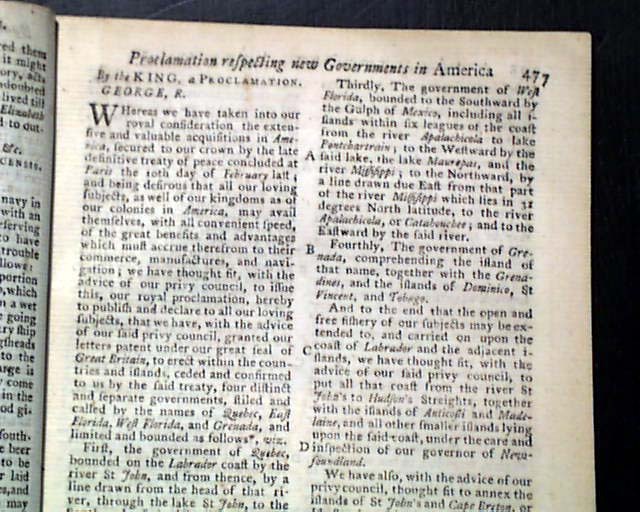 The prime content in this issue is: "By the King, a Proclamation" which calls for the disposition of newly acquired American territories, which does not allow English settlements west of the Appalachian Mountains, and requires all colonists already settled in those regions to return east. 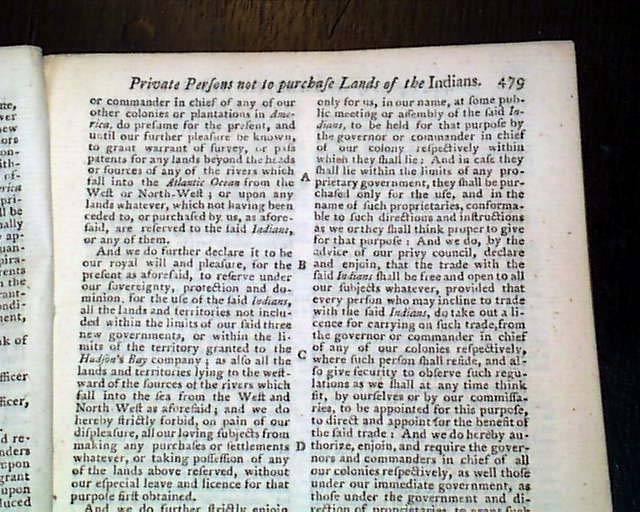 Any purchase of Indian land west of the Appalachians is strictly forbidden. 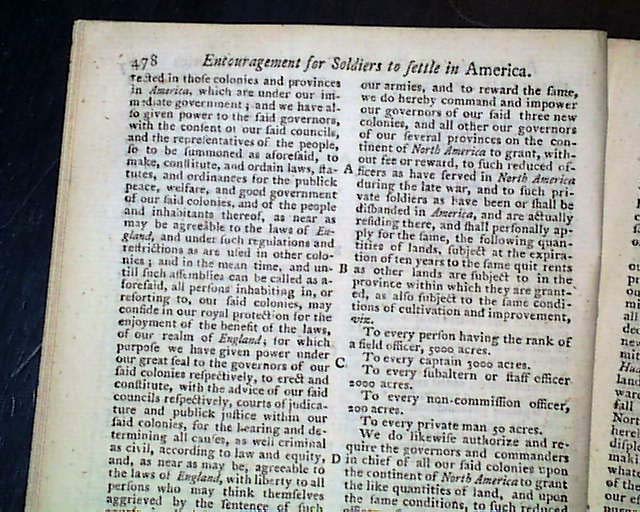 This historic Proclamation takes 3 pages. 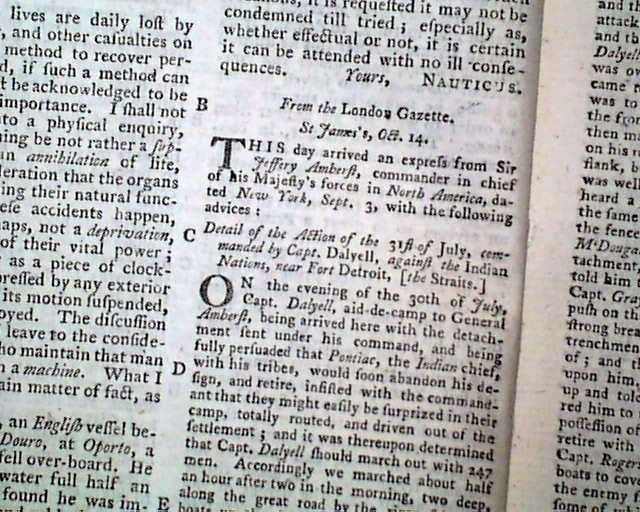 Among the other articles noted in the table of contents are: "Instructions for the Preservation of Health in the Navy" "Boundaries of Quebeck Government" "Of East Florida, West "Florida, and Grenada" "Rights & Claims of the Indians Strictly Preserved". 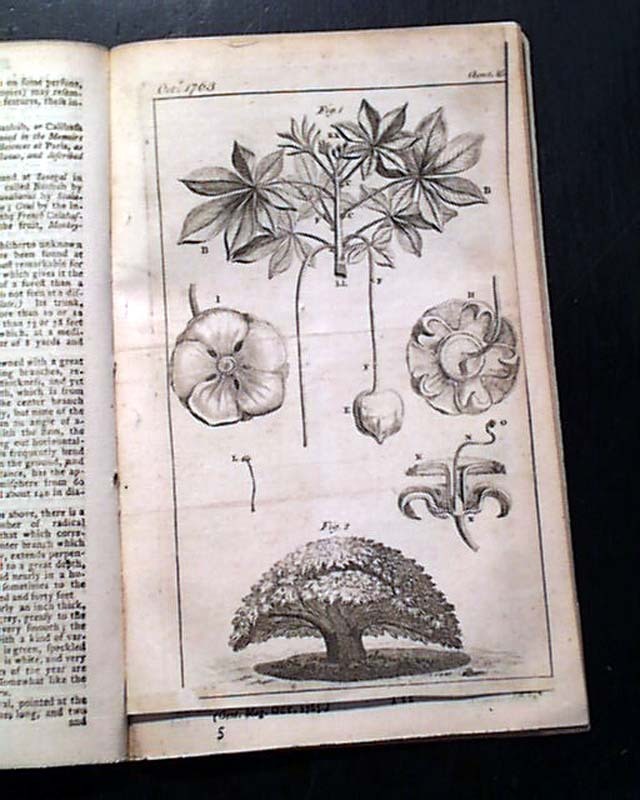 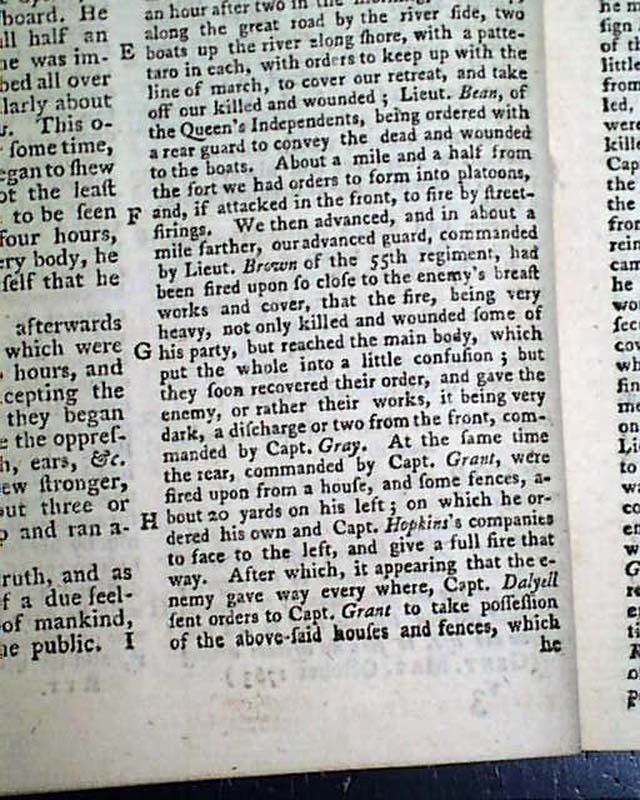 Also: "An Easy & Tried method to Recover Drowned Persons" and more. 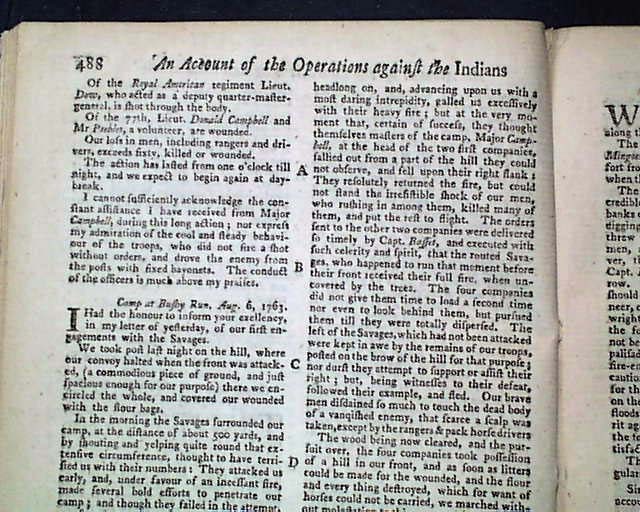 This issue also has articles headed: "Detail of the Actions of the 31st of July...Against the Indian Nations Near Fort Detroit" and "Accounts Transmitted by Col. 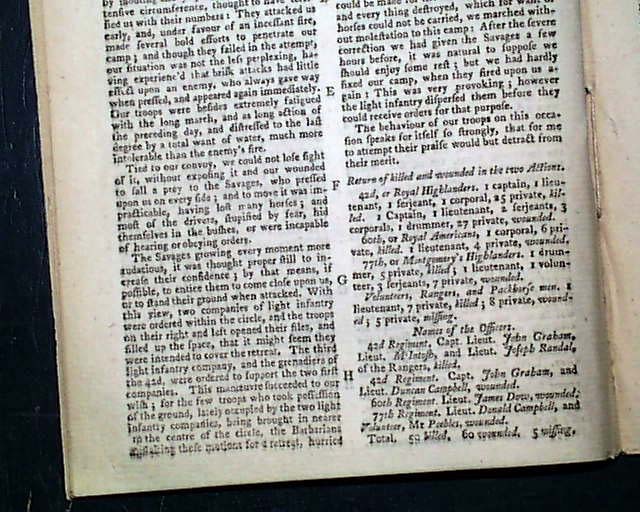 Bouquet to Sir Jeffery Amherst, Camp at Edge Hill, 26 miles from Fort Pitt" and "Camp at Bushy Run" & more, all taking nearly 3 pages on these very important Indian battles. 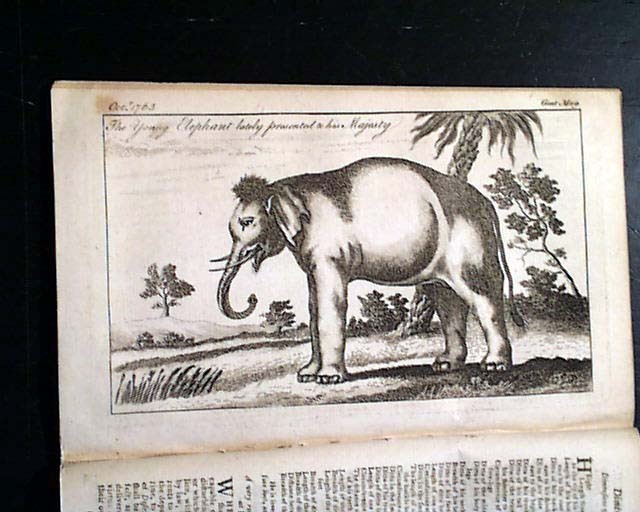 Both plates called for are present, one of various plants and the other of a young elephant. 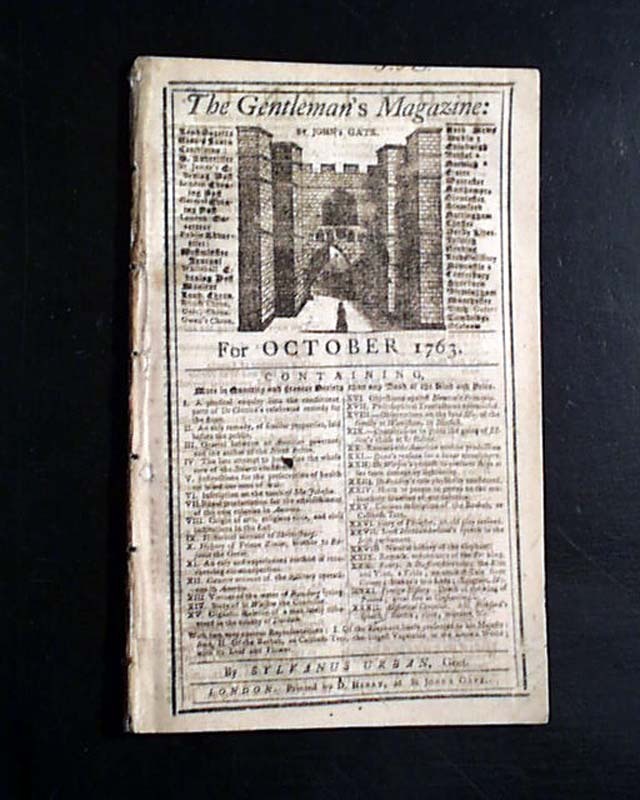 Complete in 52 pages, full title/contents page featuring an engraving of St. John's Gate, 5 by 8 1/4 inches, nice condition.